In 2016, Thorsten Wiedemann put on a pink romper suit and entered virtual reality (VR) for a full 48 hours. For comparison, Neil Armstrong was only on the moon for 21 hours and 36 minutes. Two days can be pretty long, so Wiedemann spent his time gaming, talking, and sleeping, of course. The founder of the Berlin A Maze indie game festival virtually worked his way into a new world. He was assisted by VR designer Sara Lisa Vogl, who designed a day-night rhythm for the intronaut - and even created a sleeping cave with artificial stars. The performance piece was titled Disconnected, a combined voyage of discovery and attempt at a Guinness record, side effects included. Wiedemann told WIRED technology magazine that he had a panic attack on the very first day, and was “very close to ripping off the glasses” on the following day. Coach Vogl calmed him down though, and Wiedemann pushed through. 48 hours later, he looked into the camera with a slightly wild gaze, and fell into Sara Lisa Vogl’s arms with a big thumbs-up. Disconnected was like an artificial world survival test, an experiment to see how long a person can be exposed to a virtual environment. It pushed the envelope to see how long a person can withstand the constant flickering of images in front of their eyes, and the comparatively low resolution of the strap-on monitor complete with the voices intruding from the ‘first’ reality. 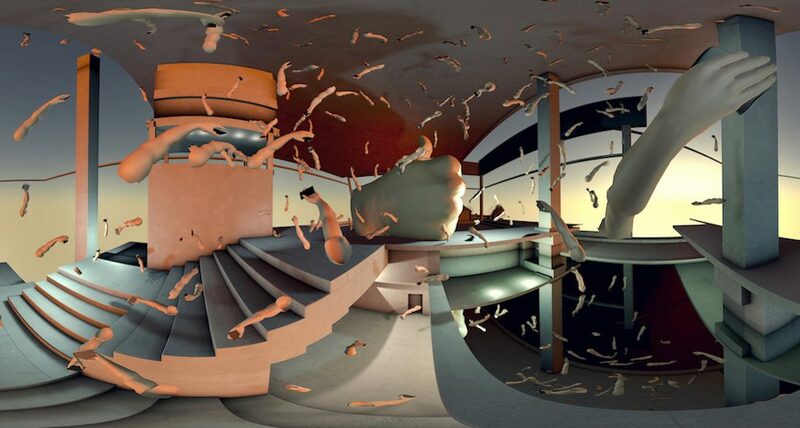 Virtual reality art undermines our ideas of the real world. It can literally pull the rug out from under our feet by suddenly giving us the power of flight, such as in Chalkroom by Laurie Anderson and Hsin-Chien Huang. Their VR world can be experienced at the Lust der Täuschung (Thrill of Deception) exhibition at the Kunsthalle Munich until January 2019. In the VR game Richie’s Plank Experience, on the other hand, you ride up a virtual skyscraper in an elevator and then feel your way onto a free-floating wooden plank. Below is a yawning abyss that inspires wobbly knees and a case of the sweats as you realise just how easily you could virtually plunge to your death. Berlin curator duo Tina Sauerländer and Peggy Schoenegge run the peer to space platform that brings VR art and artists together. They don’t see the VR medium as entirely new in art. After all, the first VR pieces (with glasses) were already around in the 1990s, created by artists like Charlotte Davies, Monika Fleischmann, and Nicole Stenger. These gave rise to a specifically German scene. Peggy Schoenegge points to artist duo Banz & Bowinkel, who won the prize for digital sculpture at the Private School of Communication and Design Stuttgart/Ulm, digital art pioneer Tamiko Thiel, who received the audience award at the VRHAM! VR art festival in Hamburg, and Manuel Roßner, who created a virtual extension for the Unreal exhibition at the NRW Forum in Düsseldorf. 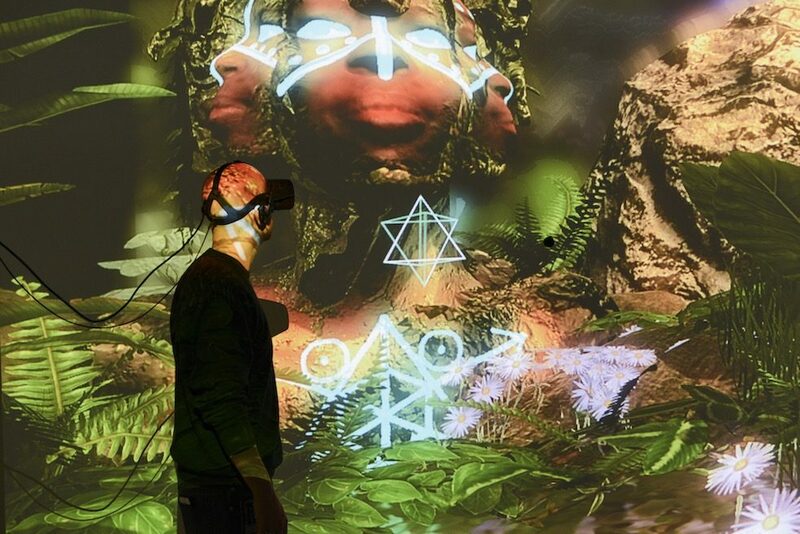 Then there are festivals like VRHam and A Maze, and Philip Hausmeier and Tina Sauerländer’s online research platform for VR art, RadianceVR.co. Schoenegge is happy that large institutions are exploring the virtual and organizing a wealth of exhibitions. She predicts that, like photography and film, augmented reality, virtual reality and all forms of mixed reality will become commonplace and increasingly established over time. “Like our computers, we can use these media to enter digital worlds. We have been doing this for almost 30 years, since the beginning of the commercialization of the World Wide Web - and the internet is already an integral part of all our lives.” Schoenegge envisions a future in which we will probably spend much longer than just 48 hours embedded in virtual reality. Oliver Herwig is a journalist and author. He writes for national media (SZ, NZZ) and moderates conferences on architecture and design. Copyright: Text: Goethe-Institut, Oliver Herwig. This work is licensed under a Creative Commons Attribution – Share Alike 3.0 Germany license.